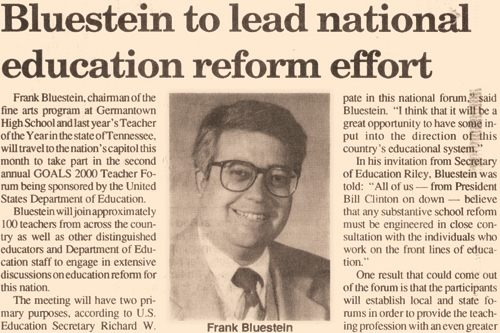 E. Frank Bluestein created the Germantown HIgh School Fine Arts Department, a program he directed for nearly four decades. 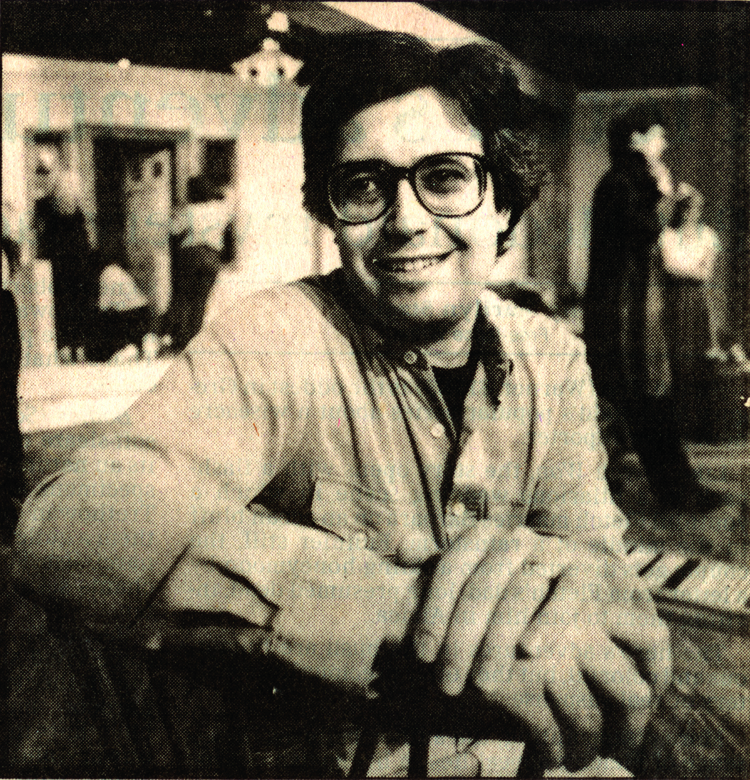 He joined GHS in 1974 and went on to become the founder of the school's internationally recognized theatre, the Poplar Pike Playhouse, and the school's multi-million dollar educational television facility, GHS-TV. He helped the Germantown High School Fine Arts Department become one of only eight secondary schools in the nation chosen to receive the prestigious Rockefeller Brothers Fund Arts in Education Award. USA Today named Mr. Bluestein one of the top 40 teachers in the United States. He was honored as the Disney and McDonald's National Performing Arts Teacher of the Year and was chosen as Tennessee's Teacher of the Year. He is a winner of the American Theatre Association's John C. Barner Award, a national award given to one secondary school teacher whose theatre program is judged most exemplary for the year. He was twice named to Memphis Magazine's "Who's Who in Memphis" poll and was presented a community service award for his accomplishments in education by the National Conference of Christians and Jews. Mr. Bluestein has served as an arts advisory panelist for the National Endowment for the Arts, the College Board Arts Advisory Committee, the Council of Chief State School Officers and the Tennessee Arts Commission. He is a former president of both the Tennessee Alliance for Arts Education and the Germantown Arts Alliance. He has served as a director of shows at Opryland, USA and wrote and directed the musical review Beale Street Saturday Night starring blues legend Joyce Cobb. Under Mr. Bluestein's leadership, GHS-TV has received Emmy and Cable Ace Award nominations, over 140 first place Hometown Video USA Award as well as two national and over 40 regional Student Emmy Awards of Excellence. Since his retirement in 2013, Mr. Bluestein has been inducted into the Educational Theatre Association's Hall of Fame. He is executive director of the Tennessee Shakespeare Company and serves as the managing director of the Tennessee Arts Academy, a statewide teacher-training institute. He is a frequent speaker and writer on arts-related issues.